This small rare tree is a really popular fragrant tree in Asia. It gets only about 5' tall and it grows well in containers. 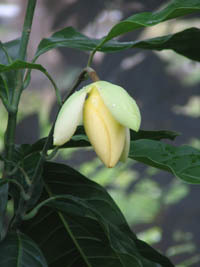 This tropical plant gets super fragrant flowers that last only one day. 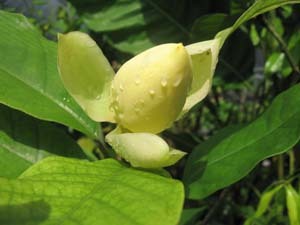 The flowers look very similar to Michelia coco, but are more fragrant. 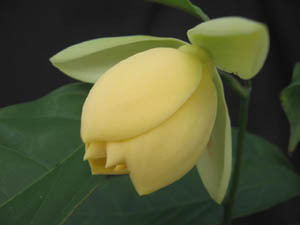 The buds look like an egg before they open and the flowers don't actually ever fully open. You can see flowers most of the year, but if you trim this plant back in late winter or early spring, you will see lots of flowers in the summer. Make sure to protect this plant from freezing temperatures, it is cold sensitive. Please e-mail us to be placed on a waiting list for this rare plant.